DESCRIPTION: These fairly large salamanders grow to 8.7 in (220 mm) in length. In many populations adults do not complete their metamorphosis and leave the water. These gilled adults are called “neotenous” and live and breed totally aquatically. HABITAT: Terrestrial adults live in moderately wet habitats ranging from grasslands to forests. Terrestrial adults live mostly underground and are usually active on the surface only during fall rains and spring migrations to their aquatic breeding sites. 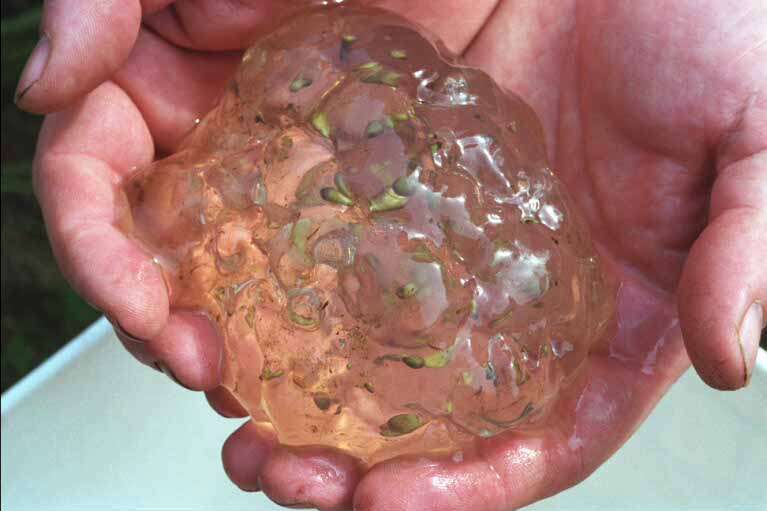 However, they can sometimes be found under logs and other surface debris. FUN FACTS: The frequency of gilled adults increases with altitude such that adults at low and intermediate altitudes are almost all terrestrial, while adults at very high elevations are mostly neotenous. CONSERVATION: It remains unclear whether A. gracile requires old growth forest to thrive. Clear-cutting, however, seems to render the habitat unsuitable. 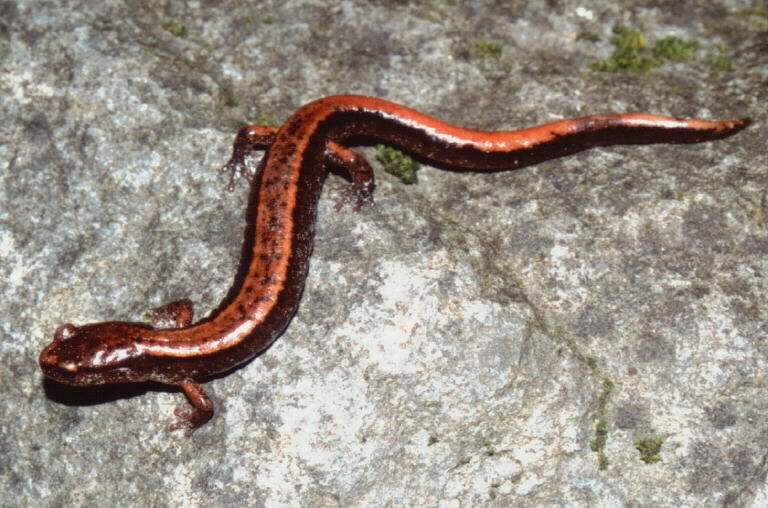 DESCRIPTION: is is a medium-sized salamander (up to 10 cm total length) that has a broad reddish, orange, or greenish stripe with well-defined edges runs along the mid-back to the tip of the tail. The tail is rounded, rather than keeled, in cross-section. 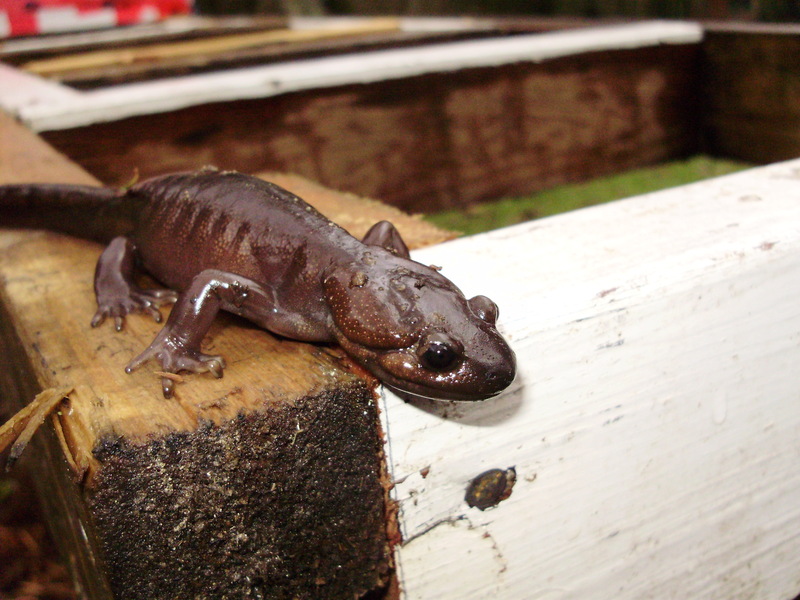 HABITAT: These salamanders are common under rocks and fallen wood along stream banks and in shady forests. EGGS: Eggs are well hidden on the forest floor and are seldom found. They are yellowish-cream, 4–5 mm in diameter, and occur in grape-like clusters of 7–11 eggs, attached to the nesting chamber by a broad gelatinous base. Eggs are best identified by the presence of the female, often curled around the eggs. CONSERVATION: These salamanders are moderately common throughout western Washington and appear not to need special conservation measures at this time. FUN FACTS: Western red-backed salamanders don’t move around much. They have small home-ranges of only a few square meters, but do not appear to defend territory from other individuals.